Looking forward to 2019 ! 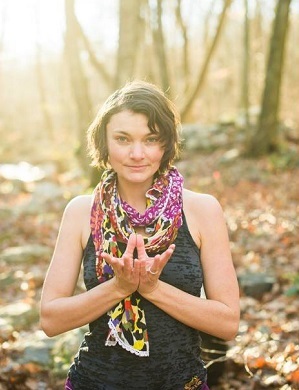 Amanda is a dedicated Yogini with over 20 years of practice and fifteen years of teaching. She teaches weekly classes other studio which she co-founded in 2001 with MC YOGI, Point Reyes Yoga in Point Reyes, California. Amanda met her husband Nicholas, aka MC YOGI at a yoga teacher training at It’s Yoga in San Francisco in 2000. The two fell in love, traveled to India the following year and then opened their own yoga studio inside Nicholas’ family barn in Point Reyes Station, CA. When they started out, they each worked a handful of jobs to float the rent. Amanda worked part time at her sister’s dog hotel and did freelance graphic design, and Nicholas loaded hay at his family store Toby’s Feed Barn and worked at the local pizza parlor. For the first seven years of their yoga studio, they taught all of the classes, and were open seven days a week, 364 days a year, with one day off for Christmas.When MC YOGI released his first album ELEPHANT POWER, they started to get invitations to perform and teach across the country. As a visual artist, Amanda helped MC YOGI to create a visual show that they could preform live to go with his unique style of yoga inspired Hip-Hop. It was a mash up of sacred Indian art, Bollywood, graffiti and vintage breakdancing footage from the 80s. As artists and yogis, they continue to travel, teach, and perform together all over the world. Leslie began practicing yoga in 2008 with Nancy Allen, her primary teacher. She continued her studies and practice of yoga with Desiree Rumbaugh, Cyndi Lee, Lila Brown, Paul and Sommer Sobin, and other wonderful teachers. She graduated in 2014 from the Thousand Petals Yoga Program in Chapel Hill, N.C. Leslie hopes to inspire voluptuous women like herself to have a more positive relationship with their bodies. Her classes incorporate gentle movement in sync with the breath and emphasize proper alignment for both freedom and stability. I am a Yogi, martial artist, body worker, retired breakdancer, community activist, and the son of a Baptist minister, and have been learning and studying eastern arts and philosophy for nearly two decades. But movement itself, and creativity and exploration of movement through dance has always been a constant source of curiosity and confidence. From learning how to headstand at five from my father, to walking on my hands and tumbling as an adolescent, to playing sports as a teen, to poppin and lockin, I’ve always been moving. These all came together for me in the Brazilian art of Capoeira, with its precision and elegance, freedom and beauty. That inexplicably led me me to Hung Gar kung fu and my first real Teacher, who unknowingly led me to yoga. 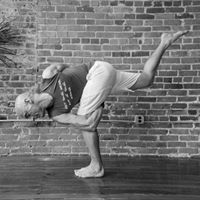 From books by Muata Ashby, to the teachings of Swami Satchidananda and Integral Yoga, along with Ashtanga, Jivamukti and other prominent systems of yoga, my “style” has crafted a style tempered by real life and humor, and relies on the importance of breath as a guide and a source of strength. My classes aim to create for each person a fluid, sustainable and enjoyable practice, that hopefully will prove to be beneficial over a lifetime. And even as this ancient practice continues to evolve, the mantra continues to be “practice is effort toward steadiness of mind”. With a background in anatomy & physiology and a passion for seeking the truth, Anton skillfully bridges the gap between the physical and spiritual, giving students the freedom to experience the beauty of the divine feminine grace and inner masculine strength. Jon has a business degree from Concordia University, and has studied Coaching for Transformation, Non-Violent Communication, and Robbins-Madanes Training, among many other disciplines. He co-created Awakening Harmony, a musical connection retreat that promotes emotional empowerment and vulnerability. He was the director of Montreal’s largest children’s day camp for 6 years and was a team building coach for high performance athletes for 5 years. 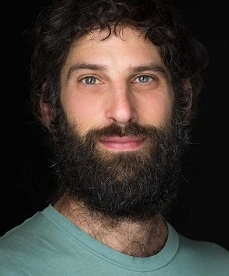 Jon has been coaching and counseling for more than 10 years and enjoys yoga, authentic relating, music, acrobatics, gardening and woodworking. He lives in Asheville, NC with his wife and friends on a co-owned community land project. 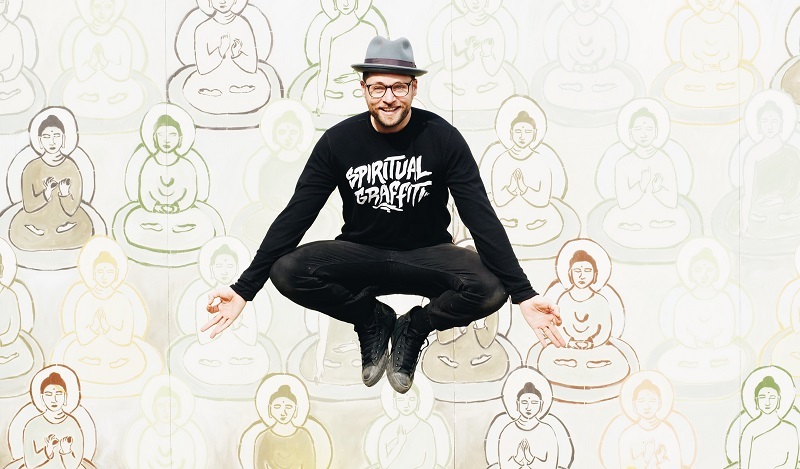 From living in a group home for at-risk youth to becoming a renowned yoga teacher and musical innovator, MC YOGI is on a mission to bring good music and good energy into the world. Having grown up immersed in hip hop culture before finding yoga in his teens, he naturally began to integrate the two, setting yogic wisdom to hip hop beats. Leia is an artist, dancer and yoga teacher. She has a degree in Dance and Choreography from Hollins University, and is a certified Hatha Yoga instructor. 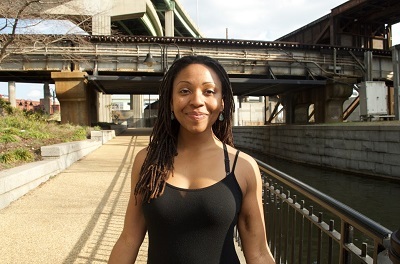 Her personal practice is rooted in the unification of yoga and dance. Inspiring creative expression and empowerment through this combination. She has learned that mindful movement has the ability to quiet the mind while reconnecting us to our joyful-spirit. Her unique soulful approach is an exploration of movement, intention and breath. Leia begins her 300 Hour Yoga Teacher Training in the Yoga Therapy Track with the Kunga Yoga School at Wilmington Yoga Center July 2017. 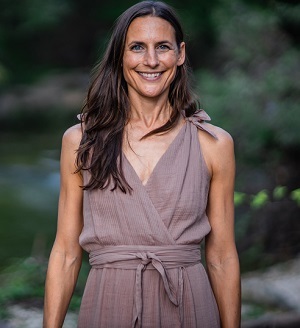 Kate Waitzkin is a yoga and meditation teacher recognized for her accessible and potent approach to guided meditation and creating vinyasa classes with a blend of breath-centered flow, inspired sequencing, and purposeful moments of reflection. Kate has taught yoga + meditation since 2005 and co-leads the 200 + 300 hour training programs for Wanderlust Austin. Formally trained through YogaWorks in New York, her primary teachers today are Rod Stryker and Elena Brower with whom she travels to study annually. kickboxing like a yoga teacher,” all while encouraging others to slay the ego and allow the true self to heal. supporting sustainable programs for the well-being of individuals and communities, locally and globally. He has completed 200, 500 & 800 hour trainings with MindBodyCentering Yoga & Dharma Mittra. He also loves headstands. And loves power tools.